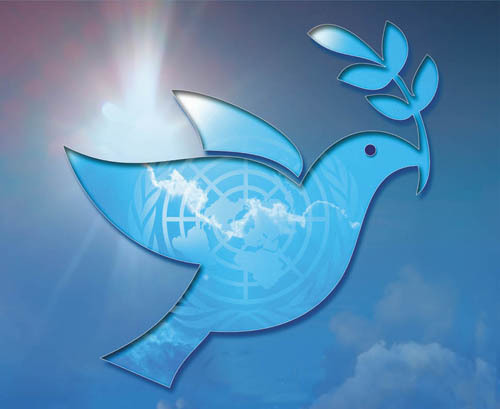 U.S. Federation for Middle East Peace (“UFMEP”) has been devoted to promoting peace and building bridges of tolerance and understanding amongst different groups of people. UFMEP’s dedication in encouraging interfaith dialogue, educating youth, promoting women empowerment and raising awareness of global issues such as human trafficking all aims to bolster our primary objective of spreading peace and harmony in the world. UFMEP founder and President, Mrs. Sally (“Salwa”) Kader, has hosted various panel discussions, peace conferences and peace marches to reach these goals. In addition to these efforts, UFMEP has taken part in the observances for the United Nations International Day of Peace held annually on September 21. Our headquarters in New York City and our branches throughout the world have celebrated this prestigious day with annual conferences and prayers services. These events among numerous others are held by the Federation every year to promote its core peace message and to create spaces where non-violence, mutual respect and cooperation can prevail.